In 1824 A.D Sardar Hari Singh Nalwa, the famous general of Ranjeet Singh, decided to chastise Muhammad Khan Tareen and a number of other recalcitrant chiefs who had taken refuge at Gandgar hills,. 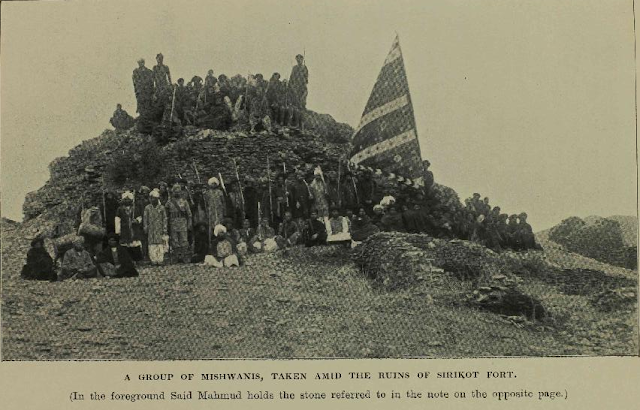 In 1822 the Sikhs, after winning a hard-fought battle at Sari at the base of range, had been defeated in an endeavor to reduce Srikot, the village of Mashwani Afghans. They now. in 1824, again made the attempt , and again failed. At Nara which stands at the mouth of a path leading up to Srikot, the Mashwanis and Saidkhani Utmanzais (a clan of Yousafzais) made a gallant stand, repulsed the Sikh force , which was 8,000 strong and sent it back to Haripur with a loss of 500 men. A white pillar , erected at later date by Major Abbot , and conspicuous from afar, commemorates the scene of their victory. Hari Singh himself was struck down by a stone hurled from the walls of the village , and rolled into the ravine below , where he lay for a long time senseless and undiscovered. It was reported , indeed , that he was dead, but in short time , having recovered from his wounds, he confuted the rumour by surprising the village of Bagra, where number of rebels had collected , and putting to the sword every armed man that he found there. Alarmed at the news of Hari Singh's defeat at Nara, Ranjeet Singh hastened up to Hazara with large reinforcements. Arrived there he sent for all the chiefs and leading men who had taken refuge at Srikot. Muhammad Khan Tareen , Sarbuland Khan Tanoli , and Shah Muhammad, the head of Mashwanis, were the only ones to obey his summons. He then attacked the Srikot hills at a number of points simultaneously, driving all opposition before him , and, after staying two nights at Srikot , marched onto Tarbela. Wile halted at the latter place, he mounted an elephant and went-down to the river-side , whereupon the Utmanzais of Khabbal on the opposite bank opened fire on him. Enraged at this, he made his cavalry swim across the river early next at a point lower , and destroyed the villages of khabbal and Kaya , their inhabitants having taken to the hills. He them marched through Yusufzai and Back Lahore-wards via Serai kala, taking Muhammad Khan Tareen with him. The Srikot hills were secured by the building of a fort , which was garrisoned with 500 men. After Ranjit Singh's departure , Karrals submitted to Hari Singh without fighting, their chief Hassan Ali khan was given a large Jagir and a fort was built at Nara. The sardar then departed for lahore , leaving Mahan Singh behind him as his deputy governor. He had not long gone when Bostan Khan Tareen , the nephew of Muhammad Khan Tareen, who was imprisoned at lahore raised a new disturbance in the Srikot hills. 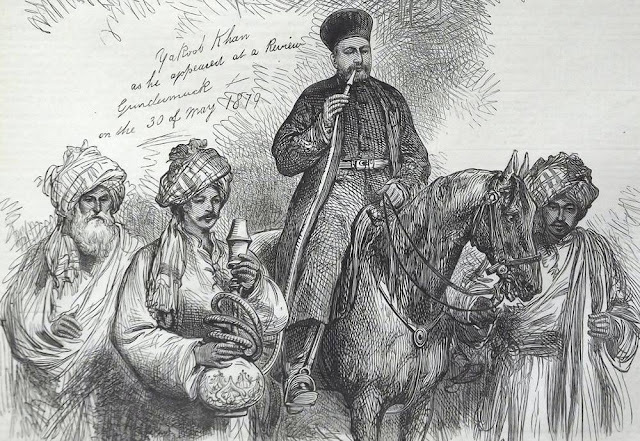 Returning to Hazara, Hari Singh had little difficulty in quelling the outbreak , and to prevent a recurrence of any thing of the kind , he took very drastic measures. Muhammad Khan Tareen , whose person he had purchased from Ranjeet Singh for 55,000 Rupees , he caused to be poisoned; Bostan Khan Tareen , the two principle Mashwani headmen , and one or two other leading men , were blown away from guns; and the Mashwanis were evicted from Srikot and forced to live in exile Trans-Indus till the year 1830 , when they obtained permission to return. The 55,000 rupees which Hari Singh had paid for Muhammad Khan were recovered by levy of a tax of two and half rupees per house from most of the villages in Hazara. 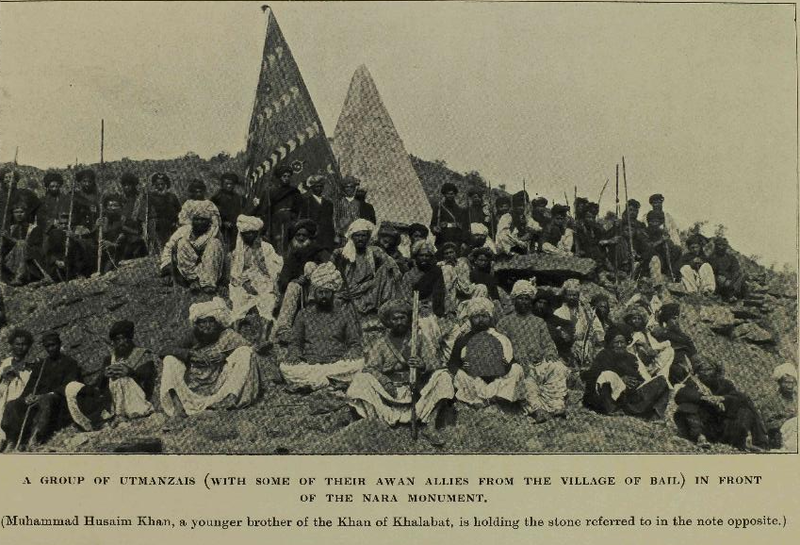 According to Hazara Gazetteer, 1907 ; Mashwanis numbered 3992 souls in 1901 census. They inhabit the villages of Srikot, Kundi, AmarKhana and Gadwalian at the north-east end of the Gandgar range. They appear to be Syed in origin, Mashwani, their progenitor , being one of the four sons of Syed Mmuhammad Gisu-Daraz. He is said to have married daughter or grand-daughter of Kakar , and to have been adopted by Danai, Kakar's father. His descendants consequently have some Kakar blood in them. Other Syeds do not admit the Mashwani's Syed origin and do not intermarry with them. They are a sturdy lot, industrious, well-behaved, and more honest and truthful than most.